Life must be enjoyed and each day should feel like a new beginning. And what better way to start your day than to pamper yourself? 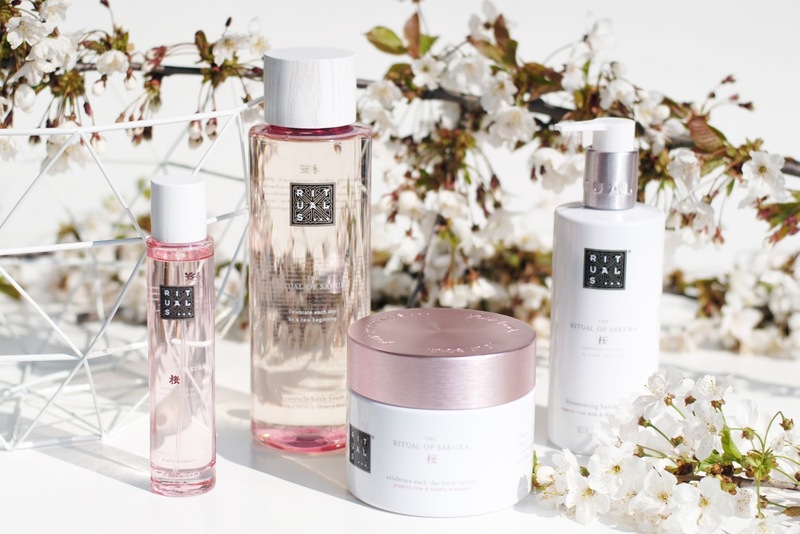 Which is even better with products that have a fragrance of rice milk and cherry blossom. Throughout Asia, rice is a symbol of abundance, happiness and fertility. 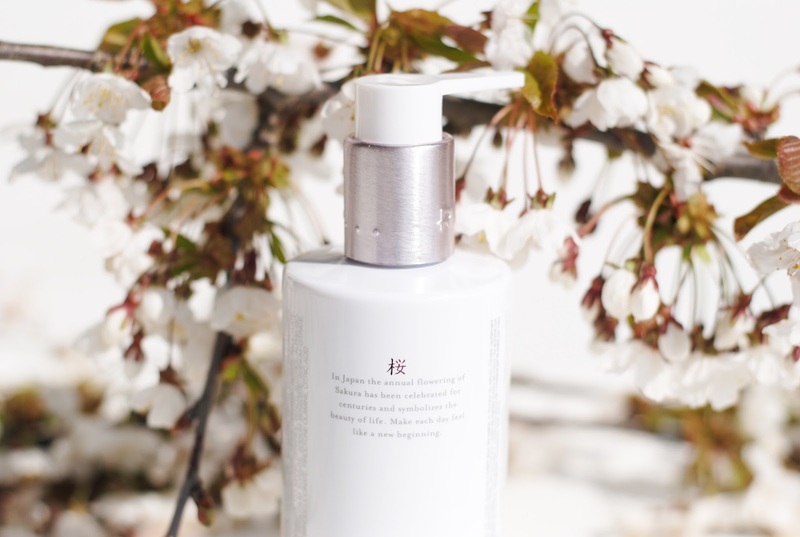 The essence of rice milk makes your skin soft, and supple and gives it a healthy glow. The fragile blossoms of the sakura tree (Japanese cherry) is often described as spring snow by Japanese poets. For the Japanese cherry blossoms symbolize the rebirth of nature and purity since ancient times. The scent is amazing, it's sweet, but not too sweet, it has a kind of subtlety. Ooh - the renewed packaging has everything I love: a clean white look combined with pink/rose gold accents. So. Pretty. Oh. My. The body mist is now a part of my white scandinavian bedroom interior, because I keep it on my night stand - it's perfect as a linnen spray. The hand lotion also got a place in the bathroom, the all white packaging fits every interior. I have 4 products, but the full collection contains around 19 products or so. How many bottles of Rituals bath foam have I emptied since I discovered Rituals? A lot! I always take a bath, and around 2 times a week I use bath foam in my bath. It's always Rituals. What I like the most about the bath foam is that it releases the scent so well, which gives you an instant relaxed feeling. It also makes your skin softer. How many jars of Rituals body scrub have I emptied since I discovered Rituals? Well, less than bottles of bath foam since the scrubs last much, much longer. 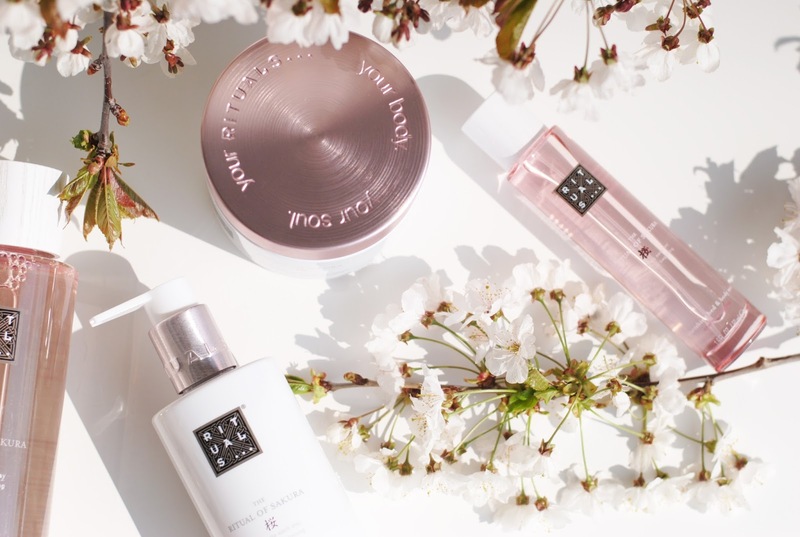 My current Rituals scrubs are: The Ritual Of Dao body scrub (so, so good! ), the Himalaya Scrub (I always have this one on my shelf), the Multani clay scrub (Yes, Multani - just like my last name! No it wasn't named after me - maybe they will in the future because I'm their most loyal scrub customer? 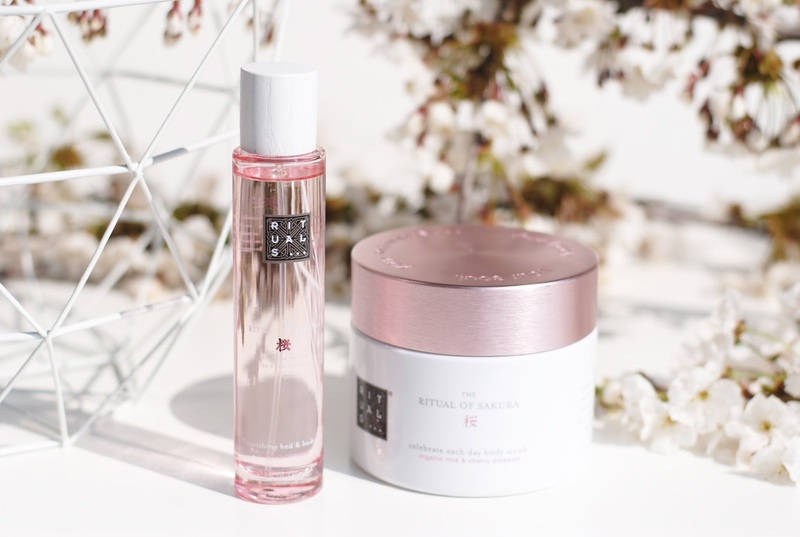 ), the old version of The Ritual Of Sakura Shower Scrub and lastly: The Ritual Of Dao Foot Scrub, but also in the old version (don't use it often). 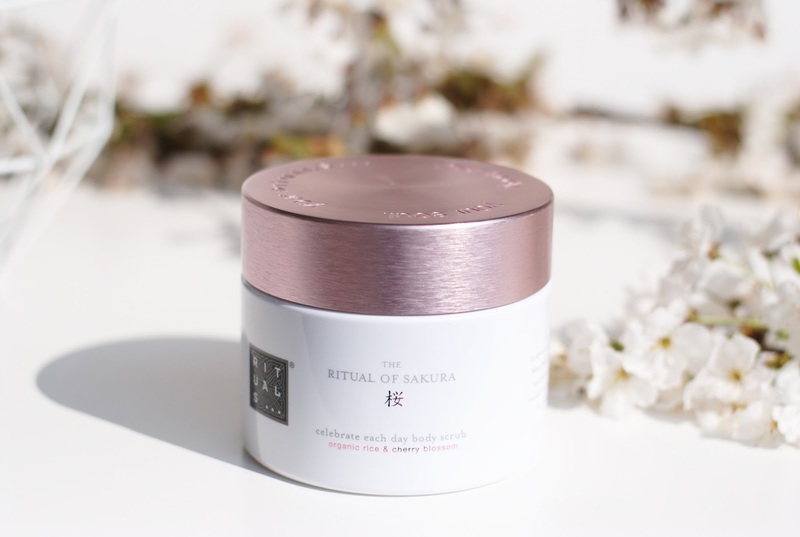 Yes I currently have 5 Rituals scrubs in the use and now there is a 6th one: the new Sakura scrub! You can compare this one to the Himalaya Scrub because it also is enriched and soaked in oils. A really good scrub as usual, with the nice cherry scent. I don't really have a problem with dry hands, so I don't use hand creams often. I also find them often too sticky. The hand lotion is indeed a very liquid lotion, not a cream, it moisturizes well and smells as incredible as the other products, hmm. 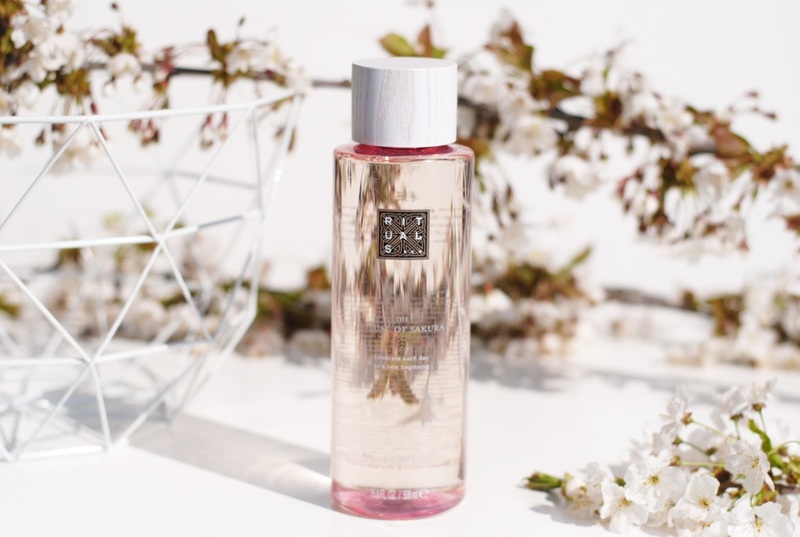 I never was a big fan of body mists, but this is an exception. 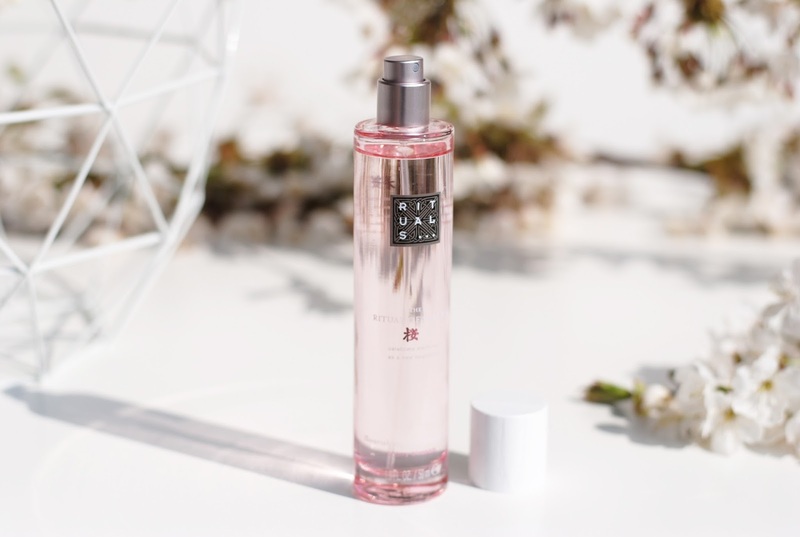 Most body mists are very weak scented, this one is not. I however don't use it as a body mist, but like to use it as a bed spray. 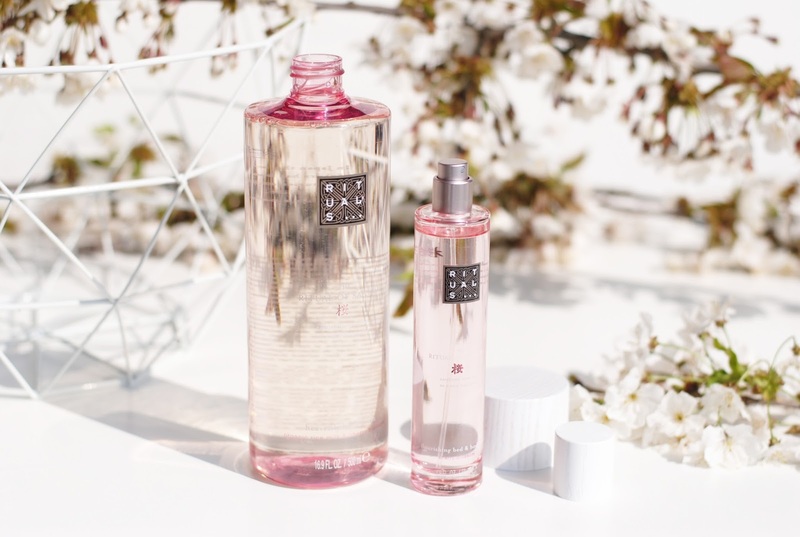 I love home scents, and the sakura scent is sweet, soft and perfect for your bedroom. I love it! 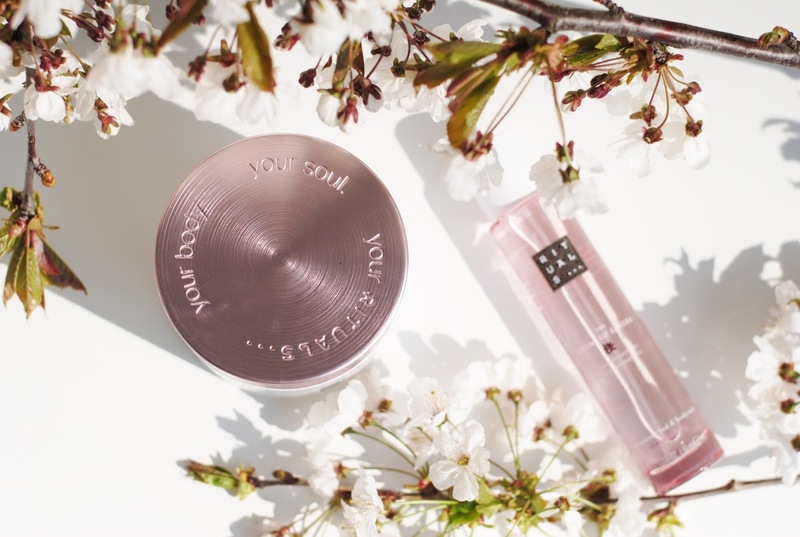 The renewed Sakura collection is luxury in an (affordable) jar. If you liked it before, you will like it even better with the gorgeous new packaging, if you haven't smelled this line yet you need to go check it out - it's goooood. 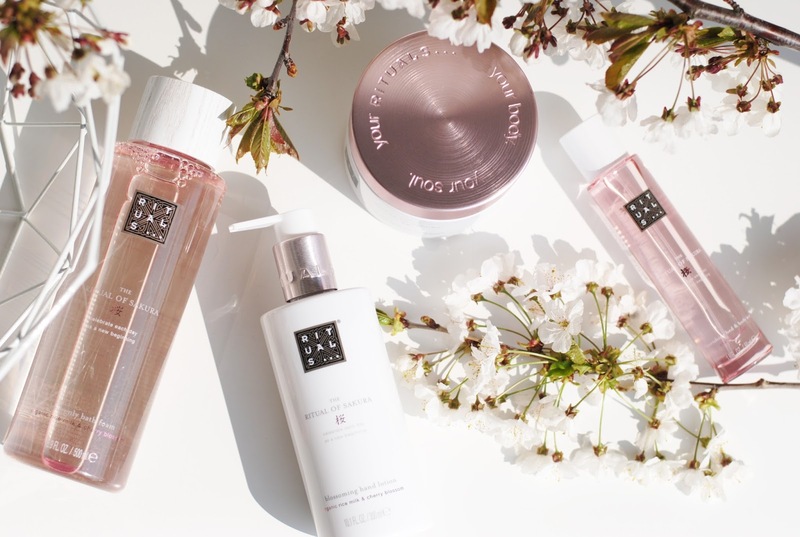 Are you also a Rituals fan? I'm also a Rituals fan, I really like their shower foam! And I love the renewed packaging of this collection, it's so pretty and it looks so luxurious! Oooooh so pretty & pink, wanttt! Vandaag al behoorlijk veel posts over deze lijn voorbij zien komen op mij Bloglovin' feed maar jouw foto's zijn gewoon het mooist! Ik ben zo een grote rituals fan! De scrub ga ik zeker proberen! De nieuwe verpakking is beautiful!